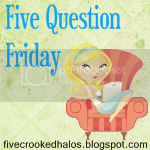 Today i will link up with Mama M for Five Question Friday. You can too! If you want! I actually contributed a question this week! A first for me. Woohoo! Guess which one??? 1. Do you embrace or dread snow/cold weather days? 2. Which game show or reality show could you totally win? 3. What is your preferred climate? Which one has the pretty 70 degree weather? Where it gets cool at night and never gets humid? California-like! 4. What do you buy every time you walk into the grocery store, no matter what? 5. If you see a spider/bug in the house, are you brave enough to kill it or do you call for your hubby? Haha - i normally have to get him to do it. Unless it's TINY. Like a gnat. Photography Practice: right in my neighborhood.